The June residential use figures for cities and water districts around the state are out and the Monterey Peninsula has little to be proud of. A whopping 56 California communities did better than the Monterey Peninsula at residential water conservation in June, making a mockery of local officials’ oft repeated claims that the Peninsula is the state’s water conservation leader. Monterey Peninsula residents used 66.1 gallons per person per day in June, dropping the Peninsula into a 57th place tie with Morro Bay. In May, Peninsula residents used 58.8 gallons per person per day and came in 48th. In April it was 55.8 gallons and 29th place. It’s understandable that residents of the Monterey Peninsula, burdened by so many lavishly watered estates, would have a hard time using less water than places like San Francisco, San Diego, Inglewood and Compton, but how do we explain using almost four gallons more per person per day than a place like Burlingame; a wealthy Silicon Valley bedroom community where the median family income is $113,440, the climate is hotter and drier, and extensively landscaped properties abound? The best performance in June was turned in by the Southern California city of Lynwood, where residents used only 35.3 gallons per person per day. Second place went to our own neighbor to the south, Cambria, where figure was 37.1. Santa Cruz was, once again, the best of the Monterey Bay area, at 42.7, and King City was, once again, the Monterey County leader, at 48.8. Given our increasingly urgent need to impress the State Water Resources Control Board with the Peninsula’s seriousness about reducing its illegal pumping of the Carmel River, it’s too bad local officials aren’t doing more to make conservation a priority. Empty words about our water conservation leadership aren’t likely to impress a Water Board that now tracks and publishes the cold, hard facts on a month by month basis. 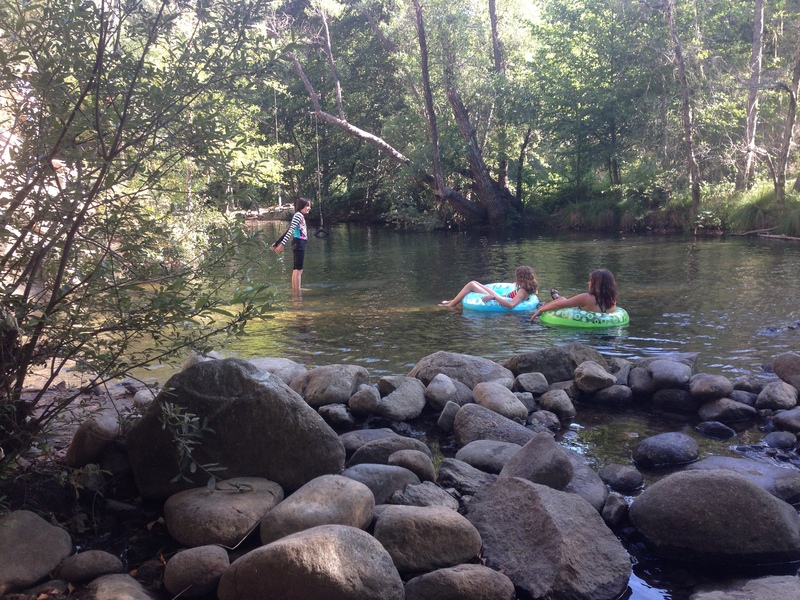 This entry was posted on Monday, August 10th, 2015 at 12:20 pm and is filed under Carmel River, Fire, Politics. You can follow any responses to this entry through the RSS 2.0 feed. You can leave a response, or trackback from your own site. Do the data account for water use by second homes? It’s possible that the Monterey Peninsula Water Management District has data shedding light on the amount of water used by second homes, but the State Water Resources Control Board only tracks and publishes overall residential use. I am sure the numbers are skewed by the consumption in the “many lavishly Watered estates” in the Peninsula. Water use will never be reduced significantly in as far as the precious liquid is seen merely as a commodity that can be paid for. Water rates should be pro rated to severely punish obnoxious consumers. And until every room in every hotel is retrofitted. In the mean time average users will continue taking the brunt of rate increases without ever increasing their consumption. One of the issues that is frequently overlooked in calculating per person water usage is that Monterey Peninsula is a major tourist attraction. There are over 12,000 rooms available for overnight visitors and busloads of daily transient visitors every day. This week (Car Week) is the worst example, we expects 85,000 visitors this weekend. You neglect to factor in the 35 – 50 gallons of water per overnight visitor and 3 to 5 gallons per day for transient visitor per day when you do your water consummation calculation. It is estimated that 20% of our water goes to non residents. Factor that into your reported consumption rate it should change or standings! The state tracks residential water use per person per day. The water used by tourists, unless they’re staying in someone’s home, is not being counted against us. This is not to suggest that commercial water use isn’t also an important issue. When all water use (residential and commercial) is counted, the Monterey Peninsula comes off looking even worse, in comparison to other California communities, than it does when only residential use is calculated. Some of that, of course, is for exactly the reason you describe.